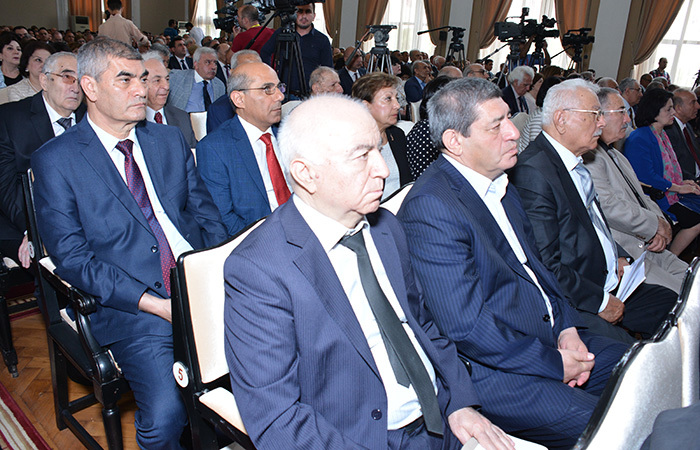 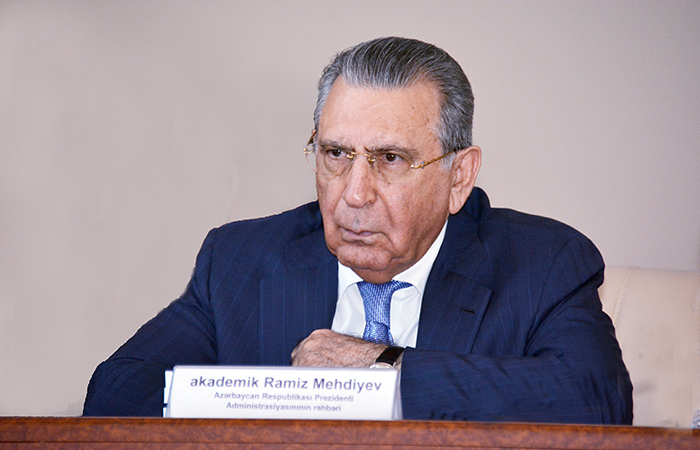 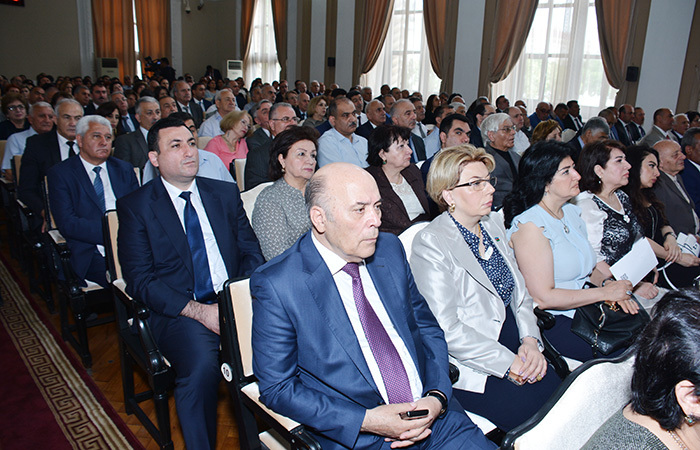 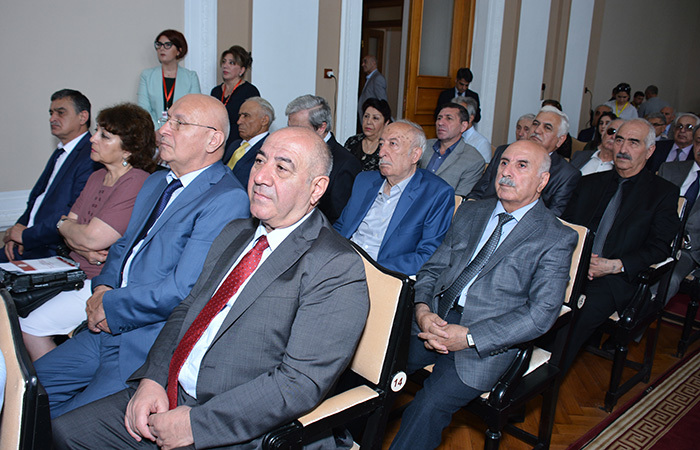 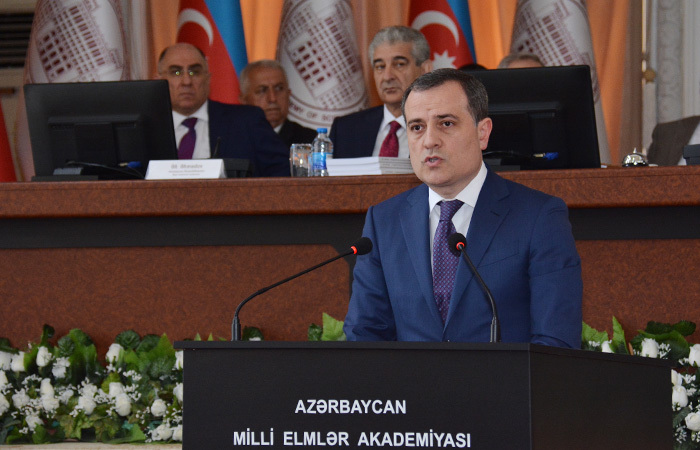 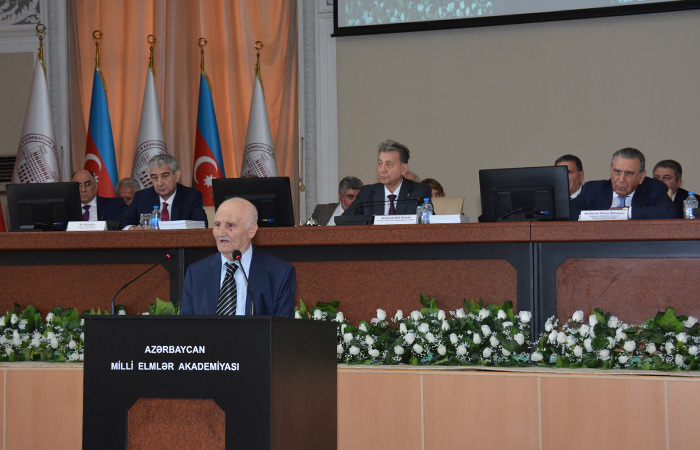 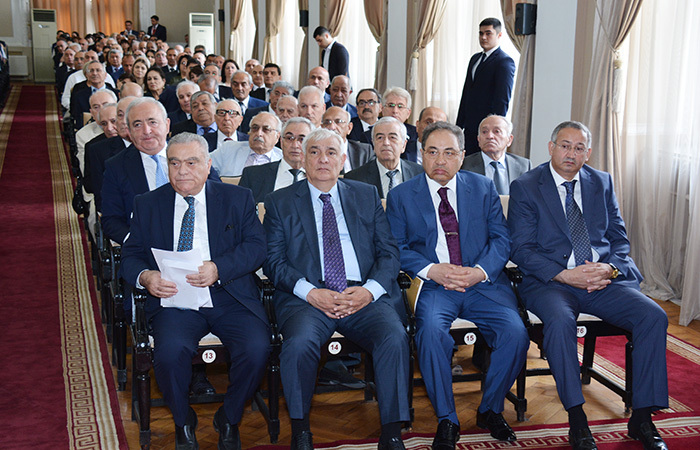 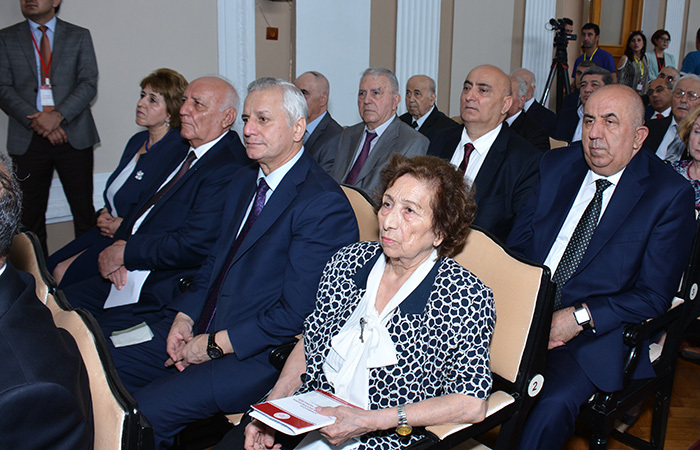 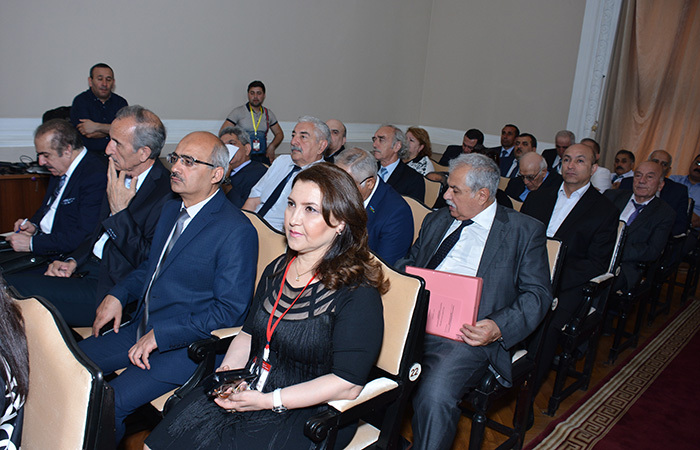 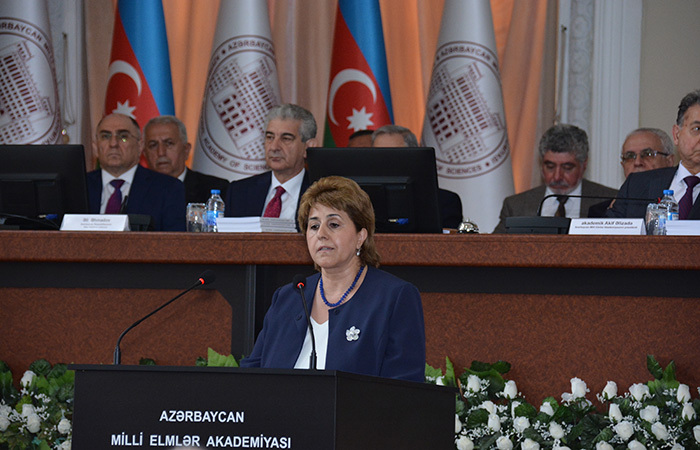 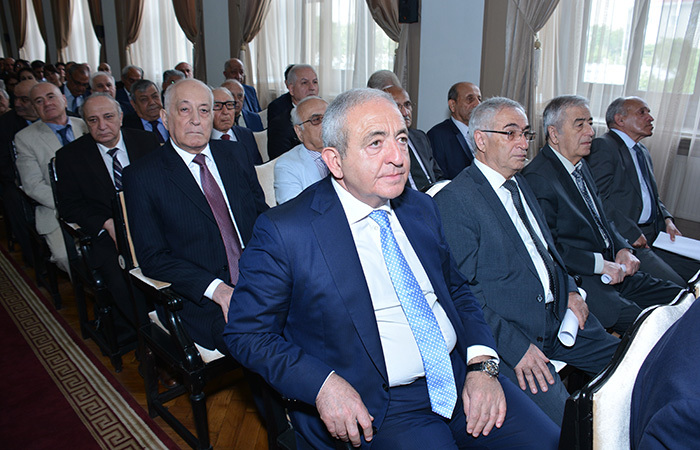 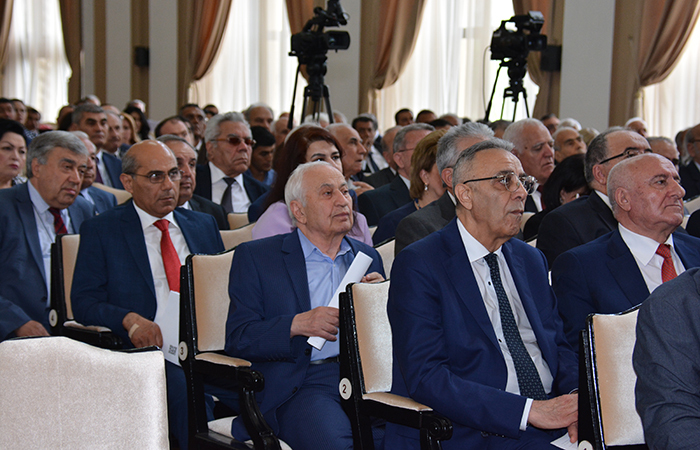 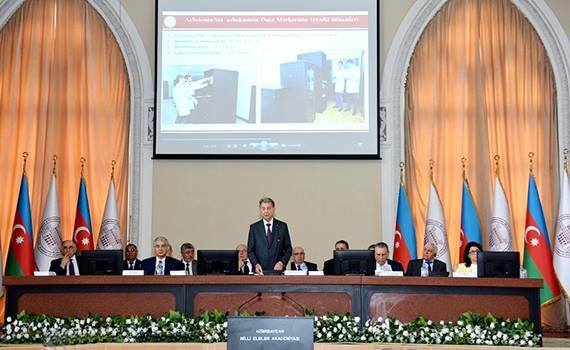 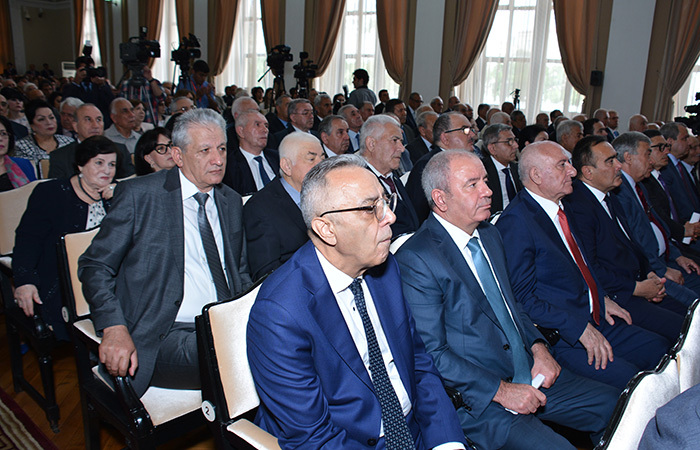 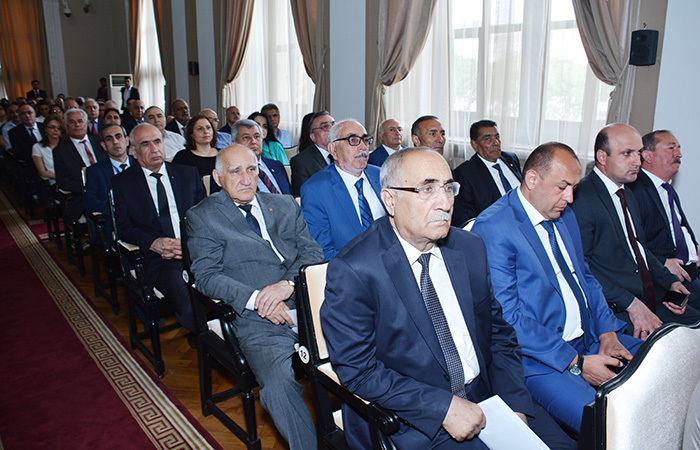 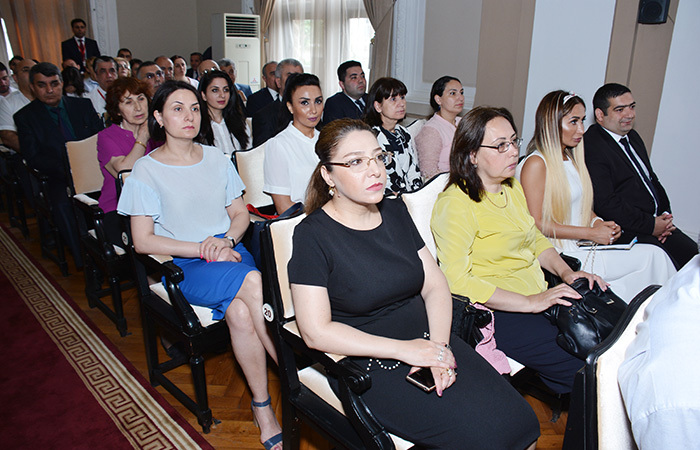 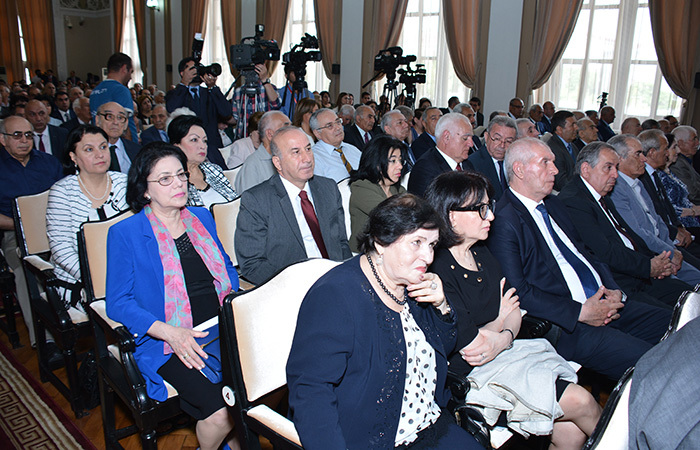 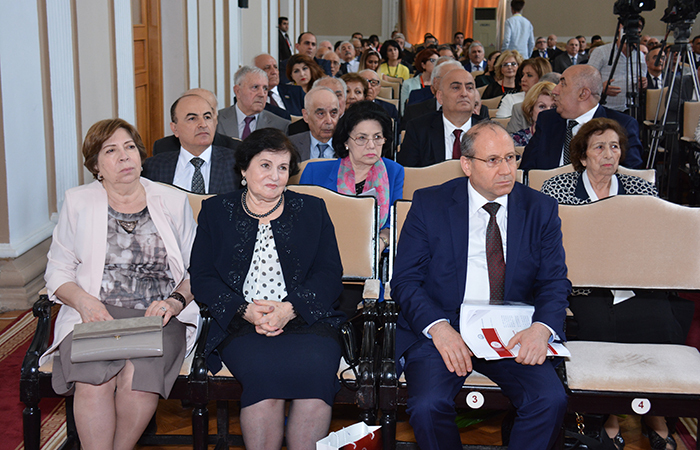 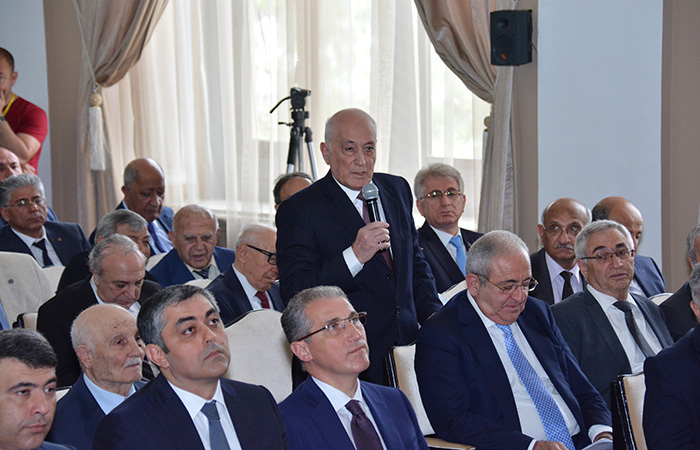 An Annual General Meeting of the Azerbaijan National Academy of Sciences has been held on June 8. 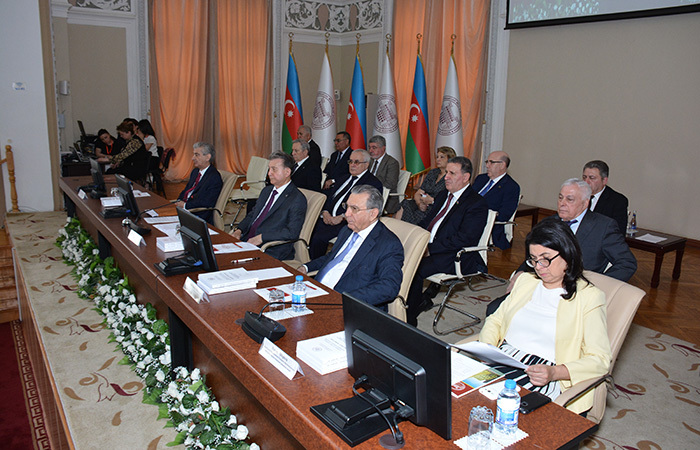 Head of the Presidential Administration of the Republic of Azerbaijan, academician Ramiz Mehdiyev, Deputy Prime Minister of the Republic of Azerbaijan Ali Ahmedov, Head of the Department of Humanitarian Policy of the Presidential Administration Farah Aliyeva, Education Minister Jeyhun Bayramov, Minister of Transport, Communications and High Technology Ramin Guluzade, Minister of Ecology and Natural Resources Mukhtar Babayev, Minister of Agriculture Inam Karimov, heads of various state institutions and universities, active and correspondent members of ANAS, directors of institutions and organizations, mass media representatives participated at the meeting. 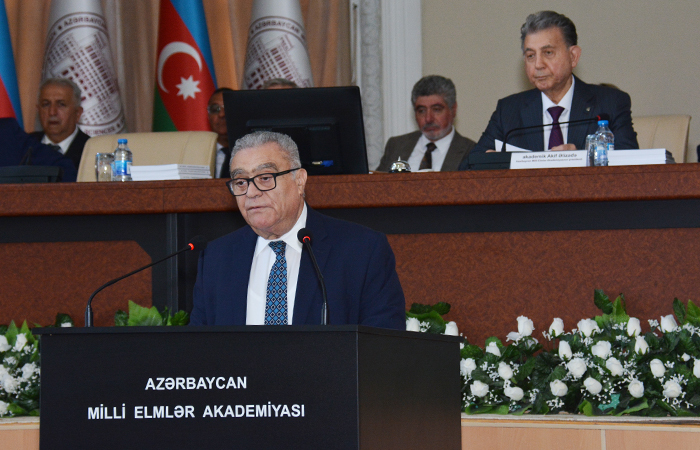 Opening the meeting, Academician Akif Alizadeh, President of ANAS, informed the participants about the issues on the agenda. 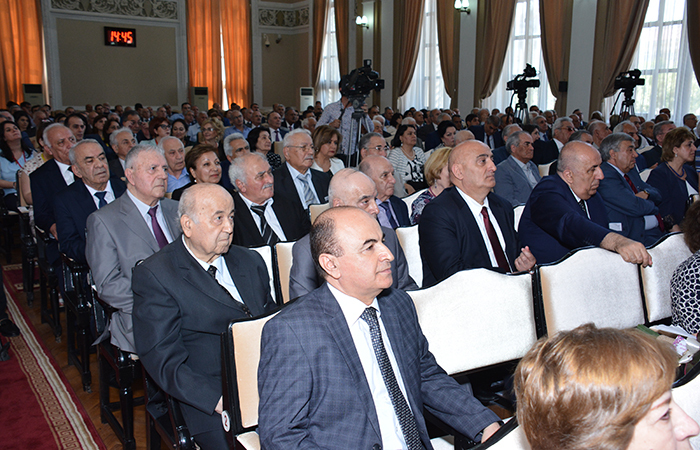 Memories of prominent scholars commemorated with a one-minute silence. 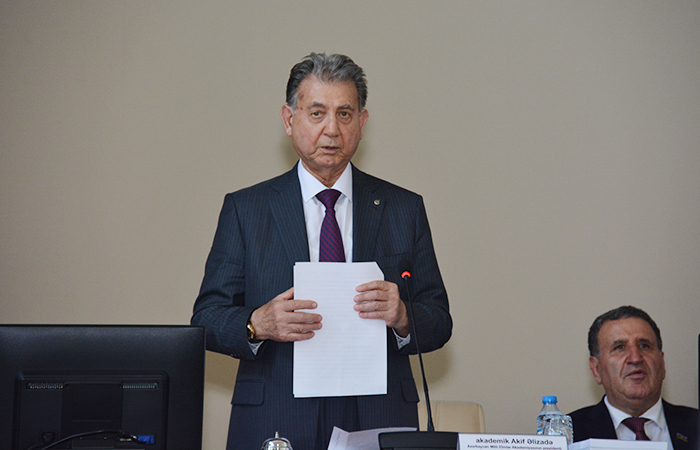 Then academician Akif Alizade made a report on ANAS's five-year activity. 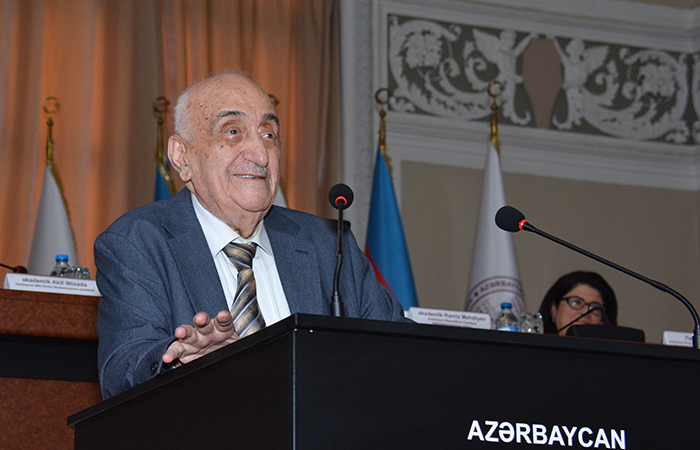 The head of ANAS said that the five-year term of the Presidium of the Academy in 2013 has expired and many achievements have been achieved during this period. 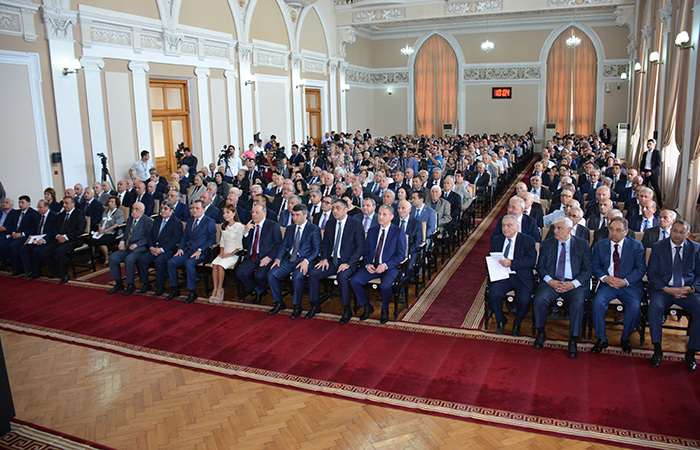 Today, the Academy is working to solve the problems of social and economic development of our republic, underlined President of ANAS. 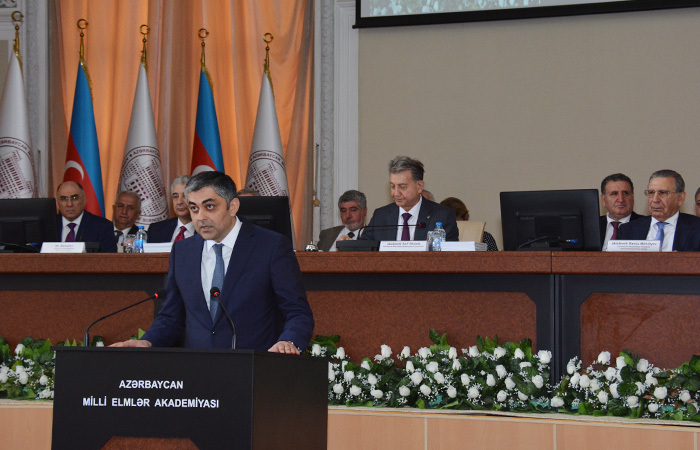 Academician Akif Alizadeh also spoke about the achievements of social programs implemented in ANAS, activity in popularization of science, legal reforms and public relations. 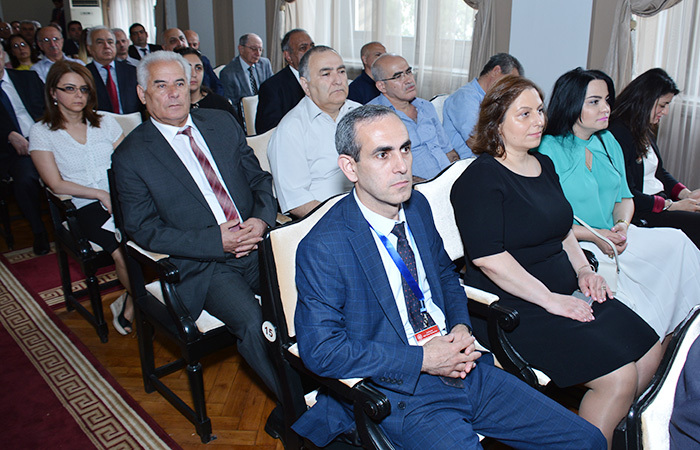 Azerbaijani scientists have identified new tasks: cyber-physical systems, molecular biology, molecular genetics, bioinformatics, complex application of technology to life processes, cognitive psychology, psychophysics, artificial intelligence, neurobiology, neurophysiology, and other areas of science. 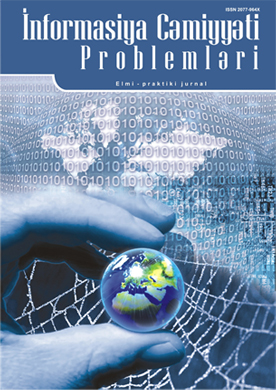 We must mobilize all our forces and make sure of this goal, the scientist lined out. 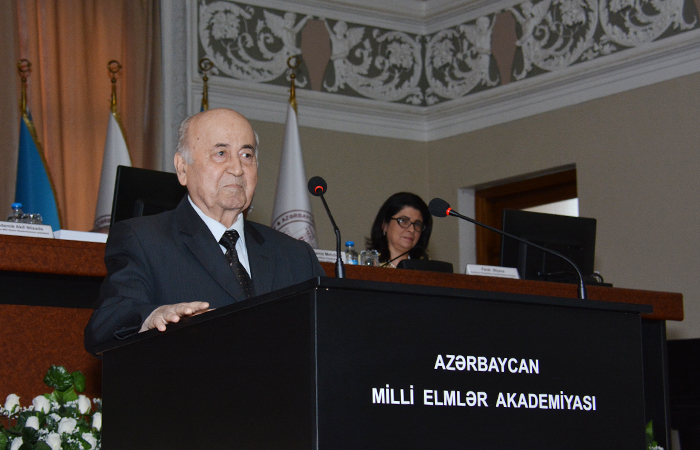 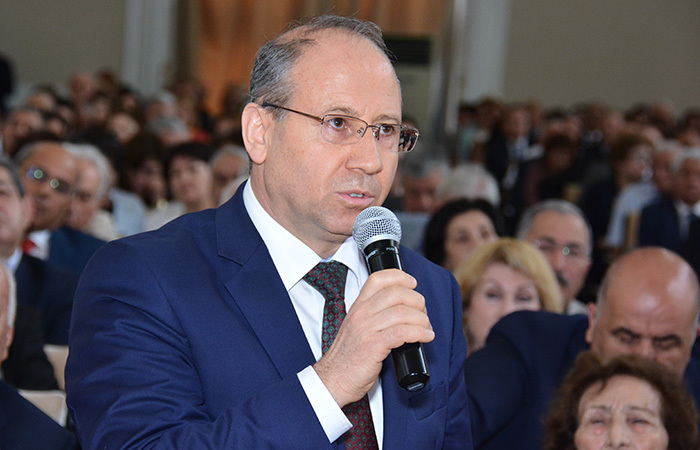 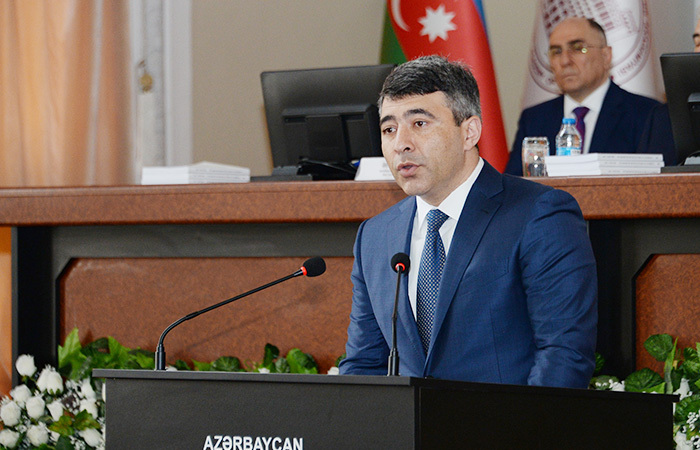 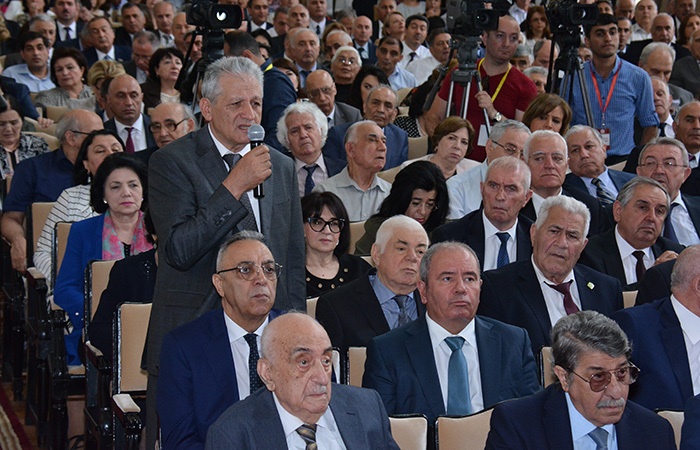 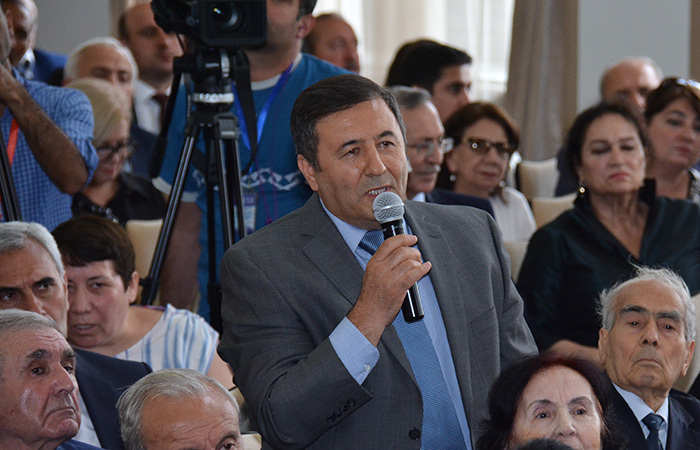 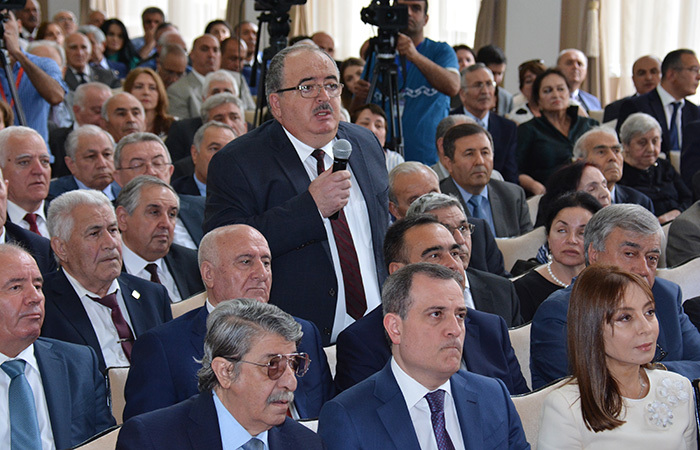 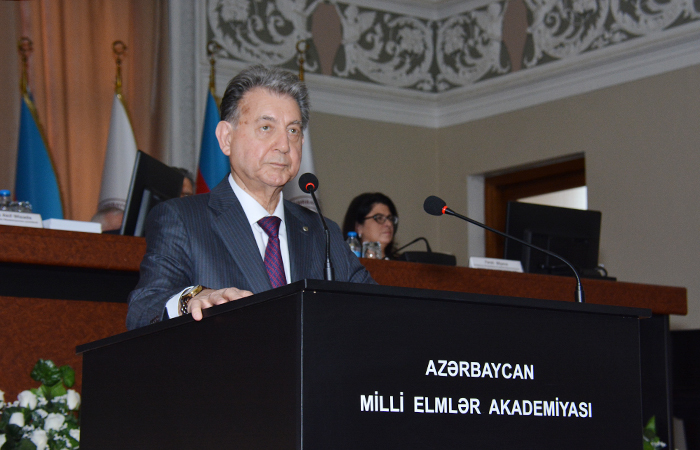 Then the questions about scientific and scientific-organizational activity of the Presidium of ANAS in 2017 were answered by academician-secretary of ANAS, academician Rasim Alguliev. 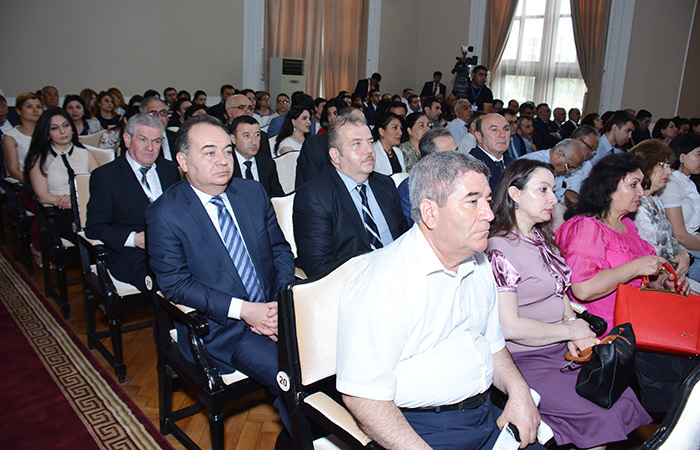 Education Minister Ceyhun Bayramov, Minister of Agriculture Inam Karimov, Minister of Transport, Communications and High Technologies Ramin Guluzade, department chief of the Institute of Management Systems of ANAS, academician Asaf Hajiyev, head of department of Archeology and Ethnography Institute, academician Teymur Bunyadov and director of Molecular Biology and Biotechnology Institute, academician Irada Huseynova made reports. 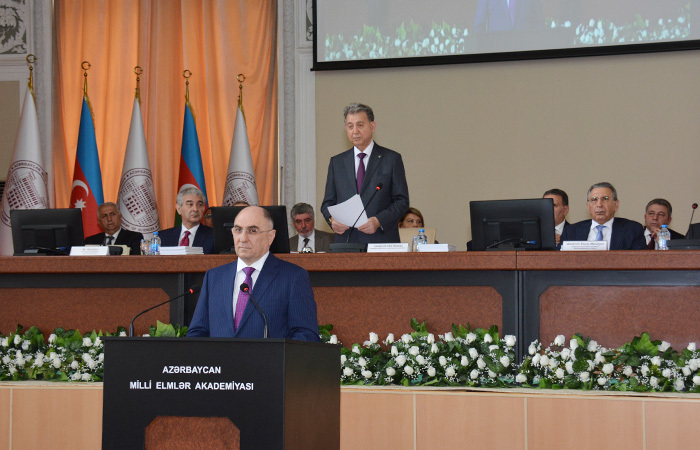 The activity of the Presidium of ANAS in 2017 was considered satisfactory and the report was approved. 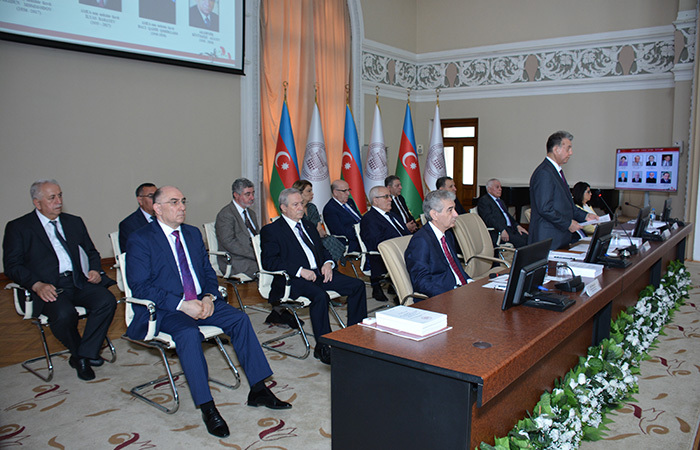 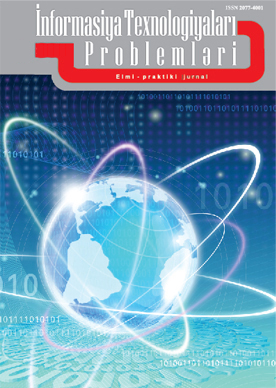 The resolution envisages carrying out of relevant activities taking into account international experience for implementation of tasks in the scientific-theoretical, practical and innovative directions reflected in the Law of the Republic of Azerbaijan "On Science", international scientific relations, as well as expansion of relations with high-tech business, training of masters and doctoral students. 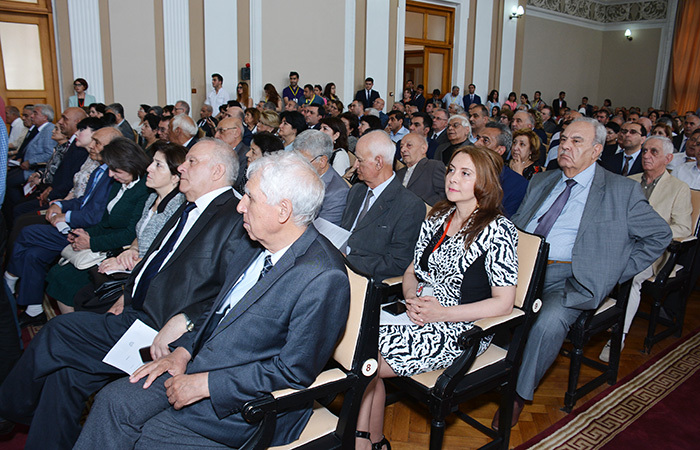 After the break, the event continued. 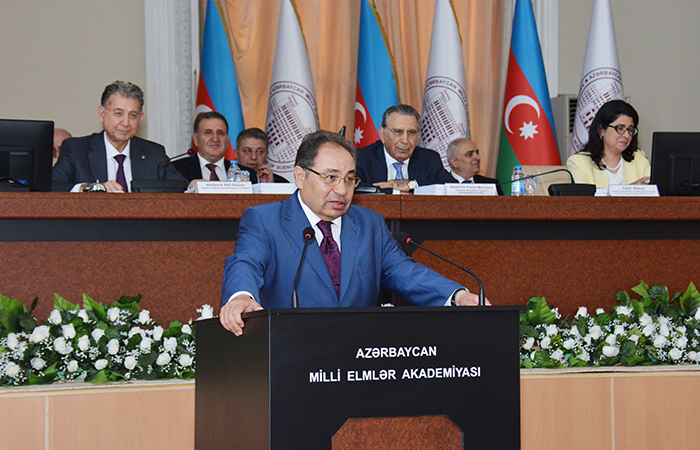 Elections were held at the General Assembly for the post of President of ANAS and the membership of Presidium of ANAS.